LUGOGO – KCCA FC moved six points clear at the top of the StarTimes Uganda Premier League with a 2-0 win over Bul FC at Lugogo. A controversial goal by Patrick Kaddu and another off substitute Mike Mutyaba’s left foot were enough to lead the Kasasiros to victory on a warm afternoon at the StarTimes Stadium. In the first half that saw limited goal mouth action, Poloto made a jaw dropping ran behind Bul’s defence but with only Bul keeper, Hannigton Ssebwalunya to beat, the U20 Captain sent his effort straight at the custodian and the ball bounced out for just a corner which would later amount to nothing meaningful. BUL’s close with an attempt of their own but Yunus Sabira’s overhead kick off a Umar Mukobe’s corner went inches wide. KCCA upped the tempo in search of a goal in the second half but they had to wait until the last quarter of the game. 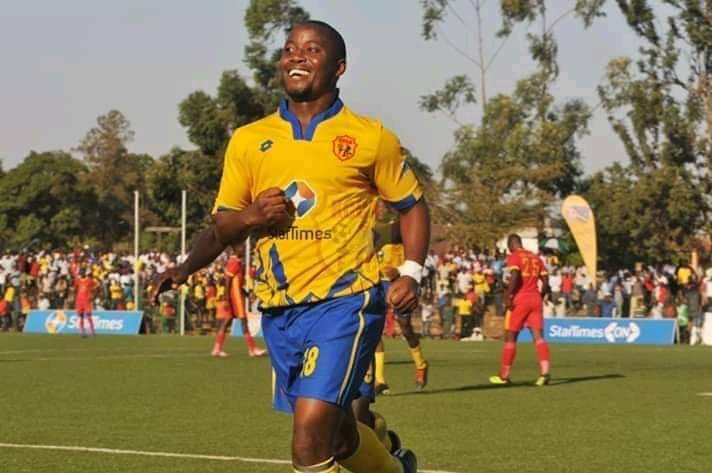 Patrick Kaddu opened the score scoring in the 68th minute when he poked his boot onto the ball as Ssebwalunyo’s was bouncing it inside his area and slotted into an empty net. The goal should never have been allowed to stand as the rules of the game stipulate that “the ball is in the goalkeeper’s possession even while bouncing it on the groun” by the day’s referee allowed it anyway. With 10 minutes to play, Mutyaba doubled the hosts’ advantage, tapping in a low cross from the right, to seal a well deserved victory. The win sees KCCA move to 44 points from 19 games, six ahead of second placed Vipers who drew 1-1 away to Tooro United on Tuesday. For Bul, they remain fourth on the log with 30 points, 16 adrift of top spot. In their next assignments, KCCA FC are away to Police while Bul host SC Villa at Njeru. Both games will be played next week. The other game that was played on Wednesday saw Express defeat Nyamityobora 2-0 at Kakyeka. The Red Eagles struck through two January signings, Frank “Zaga” Tumwesigye and Brian Umony who both found the net in the second half. This was Express’s first win in the second round having lost all of their first three games.